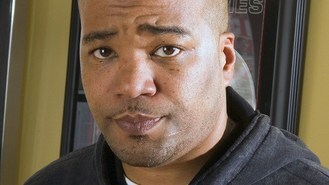 Chris Lighty was discovered at his home in the Bronx with a gunshot wound to the head. The 44-year-old was pronounced dead at the scene. Chief police spokesman Paul Browne says a .9mm handgun was found at the scene. No note was found. The medical examiner's office will determine a cause of death, but authorities say the shooting appears to be self-inflicted. Lighty was behind some of rap's leading figures, helping them not only attain hit records but also lucrative careers outside of music. He had been a part of the scene for decades, working with pioneers like LL Cool J before starting his own management company.